2018 Yamaha YZF-R15 Version 3.0 in new Racing Yellow; would you buy it? 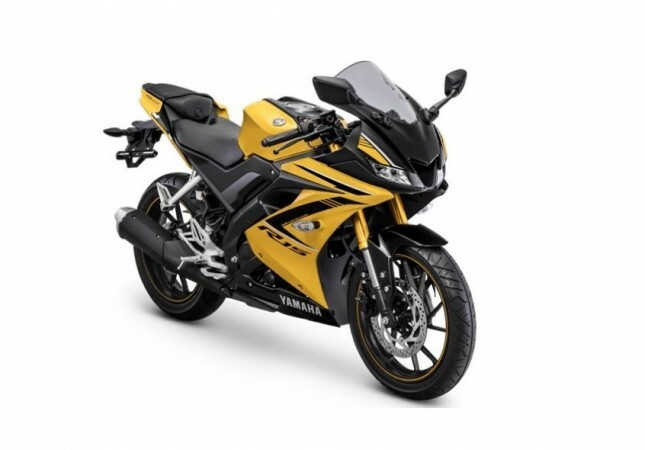 A Yamaha YZF-R15 Version 3.0 in Racing Yellow has been spotted in a Bengaluru dealership. Yamaha offers the 150cc full faired bike in Racing Blue and Thunder Grey colours in addition to the Moto GP edition in India. The YZF-R15 is one of India's bestselling full-faired motorcycles. Yamaha, the Japanese motorcycle maker launched the latest version, YZF-R15 Version 3.0 at the Auto Expo in February 2018 and it continues to enjoy healthy sales. India Yamaha Motor (IKM) initially offered the YZF-R15 Version 3.0 in two colour options- Racing Blue and Thunder Grey. Later in August, Yamaha added a MotoGP edition that takes inspiration from Yamaha's MotoGP racing livery. 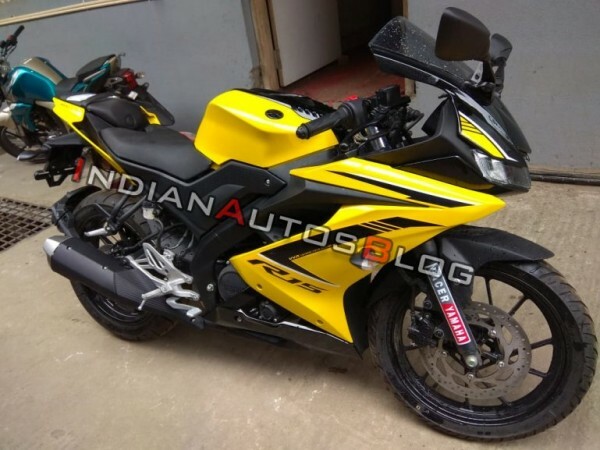 Now, a unit of the YZF-R15 Version 3.0 draped in Racing Yellow has been spotted at a dealership in Bengaluru. Before you ask whether Yamaha has launched the new colour option, it's a pure dealer-level paint job. "India Yamaha Motor has not launched a new colour option for the Yamaha R15 V3.0. This could be a dealer-level modification," Indian Autos Blog quoted IKM as saying. If you are fascinated with the new colour options and up for buying it, head to Bengaluru. There is no word about the pricing yet while we believe it should be around Rs 1.30 lakh (ex-showroom). Interestingly, the Yellow coloured Yamaha YZF-R15 Version 3.0 looks identical to the Racing Yellow coloured model on sale in Indonesia. The motorcycle is also sold in Racing Blue and Racing Black colour options in the South East Asian market. 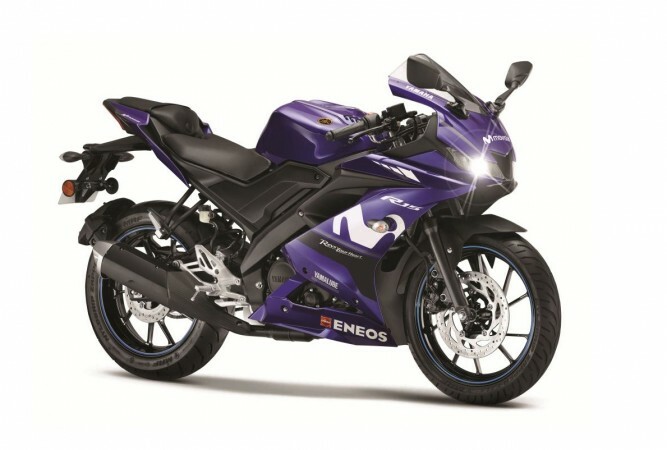 The India-spec YZF-R15 Version 3.0 version is offered without Anti-lock Braking System (ABS) while the Indonesia-spec model gets the safety feature as standard. Yamaha is expected to update the India-spec model with ABS soon as it is mandatory to have the safety tech for all the bikes over 125cc from April 2019. The YZF-R15 Version 3.0 is powered by a new 155cc liquid-cooled SOHC four-valve fuel-injected engine in place of the 149cc engine. The mill produces a maximum 19.3bhp at 10,000rpm and a maximum torque of 15Nm at 8,500 rpm. The mill comes mated to six-speed transmission complemented with an assist and slip clutch. Biker Santas around the world are a heartwarming sight to the eye! L.A.Auto Show spearheads into the future with technologically superior cars!